Even without the launch of a new, smaller iPad, a new forecast calls for Apple to sell 21.6 million full-size tablets this holiday shopping season. Analyst Amit Daryanani with RBC Capital Markets said in a note to investors on Monday that he expects Apple will sell 21.6 million iPads in the December quarter. But that projection is based only on the current 9.7-inch iPad form factor available from Apple. If the company were to launch a smaller so-called "iPad mini" in the current quarter, he believes it could result in an 8-million-unit, $2-billion net benefit for the company. That would result in total iPad sales of 29.6 million for the holiday quarter. The forecast comes as The Wall Street Journal reported on Monday that Apple has placed orders for 10 million iPad mini units for the holiday quarter. The new 7.85-inch iPad is expected to be unveiled this month and launch ahead of the holiday shopping season. 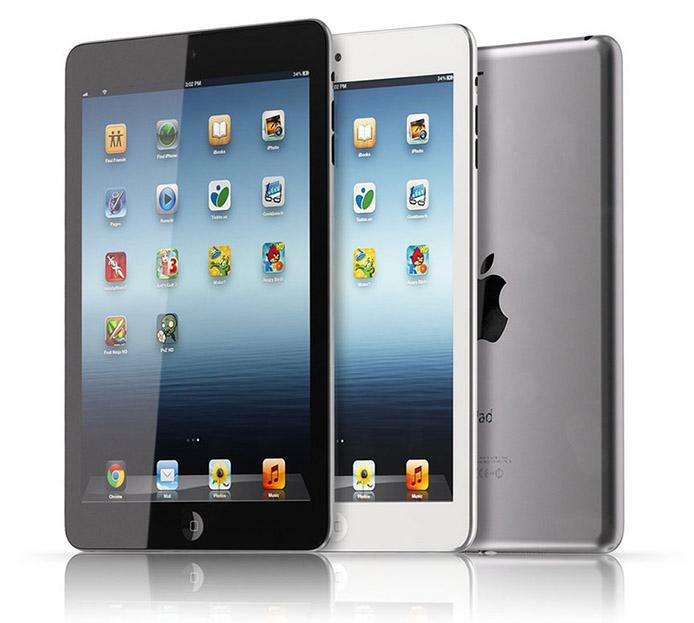 Production of the smaller iPad is said to already be underway at Apple's overseas suppliers. The device is expected to feature a screen with a lower resolution than the current iPad with Retina display. The iPad mini is expected to be competitively priced to take on smaller tablets like the Kindle Fire, Google Nexus 7 and Barnes & Noble Nook. In recent weeks, alleged iPad mini parts have leaked, suggesting the device will come in black and white models and will feature a model with cellular connectivity to access the Internet on the go. Last week it was rumored that Apple will send out invitations this Wednesday, Oct. 10,for an iPad mini media event. Based on previous product launch timetables, it's likely that the event would be held a week later, on Oct. 17, and the product would go on sale before the end of the month.